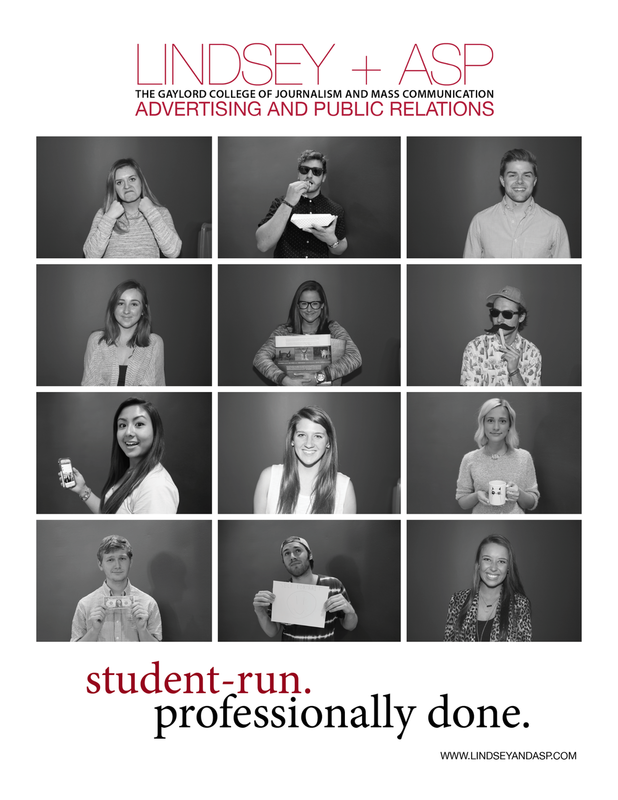 Lindsey + Asp is an advertising and public relations agency within the University of Oklahoma's Gaylord College of Journalism and Mass Communication. As a creative intern, I was tasked with creating Lindsey + Asp print advertisements for an event held by the Public Relations Society of America (PRSA). I experimented with three different ads focusing on the different unique aspects of the agency. 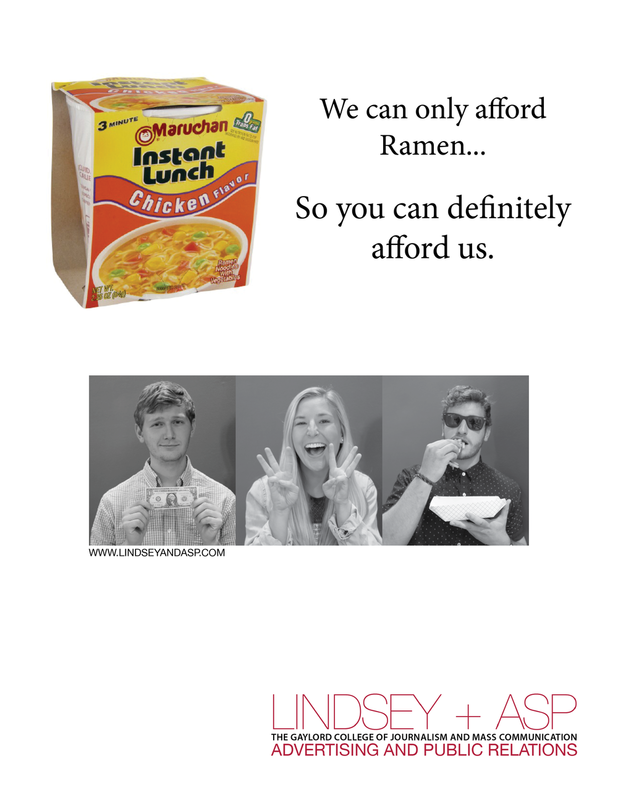 In the first ad, I focused on Lindsey + Asp's affordability as an agency run entirely by college students, who are notoriously known for chowing down on the dollar meal of Ramen noodles. 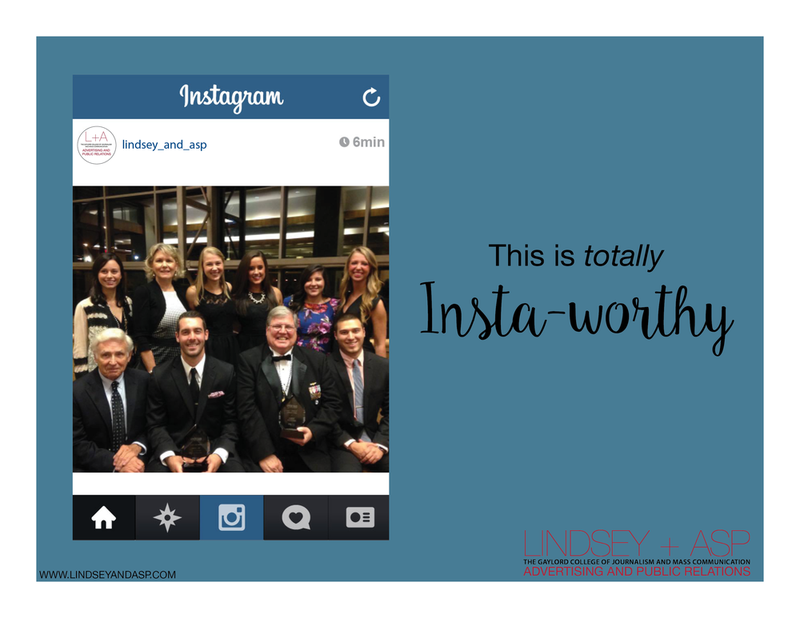 In the second ad, I used an image of the agency leadership in an Instagram frame accompanied by the words "Insta-worthy," a phrase to point out the agency's proficiency with Instagram as well as societal familiarity with the photo app and modern millennial jargon. In the third ad, I used the team member images from the agency website to highlight the unique aspect of the agency as being composed entirely of college students. The silly team member images are juxtaposed with copy that notes the agency's work, although completely student-run, is "professionally done."